Must be about ready to go to Corpus. Would appreciate an acknowledgement in the next letter of the $125 I sent home recently by postal money order, and also of the long letter to father. All for now-things go well. 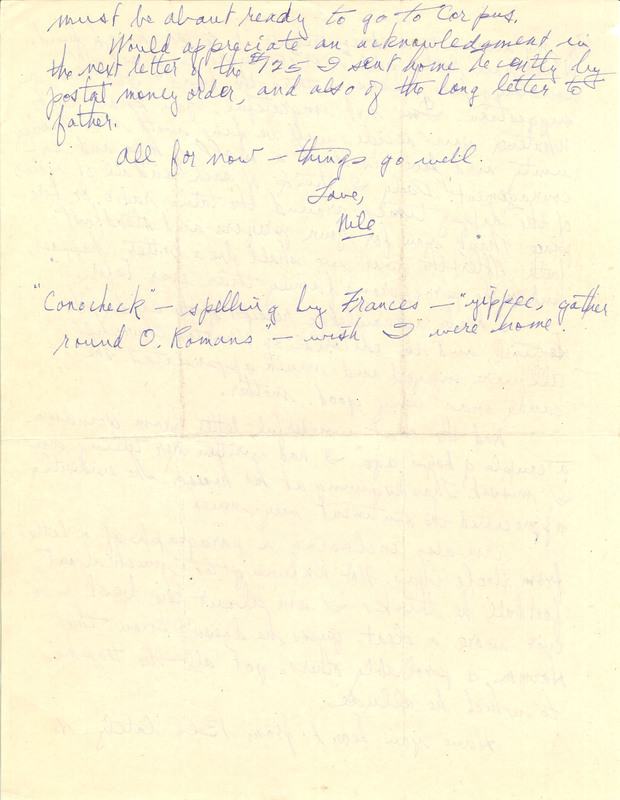 Love, Nile "Conocheck"-spelling by Frances- "yippee, gather round O Romans"- wish I were home.